Co-parenting is often the most difficult challenge that parents face following a divorce. Poor co-parenting can not only be a source of extreme and ongoing stress for the parents but, worse yet, it can be emotionally devastating to the children. It can lead to repeated trips back to the courthouse, and many thousands of dollars in legal fees. But it doesn't have to be that way. Disagreements over discipline, supervision, parental involvement, or parenting styles are factors which contribute to countless divorces. So, it is not surprising that, in many of those cases, the problem only gets worse when the divorce becomes final. After all, if the parents could not agree on parenting issues when they were married, why would they expect things to get better after they divorce and are living apart? Co-parenting is essential, but it is not easy. It requires placing the best interests of the children ahead of your own needs. It requires managing your emotions, and finding a way to deal with your fear, anger, and negative feelings in a healthy and positive manner. Finally, it requires a commitment to always take the "high-road," even when the other parent is refusing to cooperate or co-parent. Taking the high-road is not a sign of weakness. It doesn't mean giving in or compromising the safety of your child. What it means is not "taking the bait" when the other parent is pushing your buttons. It means not "defending yourself" by badmouthing the other parent to your children when the other parent may be playing that game. It means not putting your children in the middle of the dispute by forcing them to witness angry or violent arguments. It means not making a child choose one parent over the other. It means not using children as messengers or spies, or as weapons to hurt the other parent. It means not sabotaging your child's relationship with your ex-spouse, even though he or she might not be such a great parent. It also means never allowing yourself to become so emotionally needy that your child feels that it is his or her responsibility to take care of you. Taking the high-road is a sign of strength. It is something you can do to assure that the child whom you love so much can grow up to be happy and well-adjusted. The first step in learning to co-parent is realizing that, after the divorce, there will be times when your children are with your ex- and, during those times, you will no longer have control. Therefore, it is not only in your children's best interest -- but it is to your own advantage to make sure that you and your ex- are communicating when it comes to parenting. Co-parenting doesn't mean that you and your ex- need to be friends. You just need to be able to communicate in a business-like manner for the purpose of making decisions affecting your common children. Your communication should be direct and to the point. No sniping. No angry comments meant to hurt the other's feelings. Stick to the matter at hand. Don't bring up tangential issues that have little or nothing to do with the children. By focusing on the issue before you, and keeping the children in mind, you will be able to communicate effectively, and the children's needs will be met. Eventually, all of the emotion arising from the divorce will fade and you will find it much easier to deal with each other -- but the time to start working on communication is now. It's hard, I know, but it is certainly worth the effort The end result will be children who feel safe, secure, happy, and loved. An important part of successful co-parenting is sharing information about the children with the other parent: "Sally came home from school today with a fever"; "Billy is in a play next week in Ms. Hollister's classroom"; "Meagan has a dentist appointment on Thursday"; "Justin's high school report card came out yesterday - here's a copy." Sharing information is easy. If you don't feel comfortable talking on the phone, then you can do it by mail, email, or a text message. Sharing information allows parents stay on the same page, and it helps to assure that the children have two parents who are both involved in their lives. One of the biggest challenges of co-parenting is when a divorcing couple has very different parenting styles. This is not only a common problem, but I'd venture to say that it is the case in the majority of divorces (and marriages, too). "She's too strict." "He's a Disneyland dad." "He doesn't supervise the children like I do." "She's too controlling with the children." "He won't let the children be children." "She doesn't set limits." The fact is that there is no one right way to parent. You will have to get used to the idea that when the divorce is final, there will be blocks of time when the children are alone with the other parent. Co-parenting does not mean imposing your will on the other parent. Attempting to do so will lead to disagreements and anger, and will likely be futile in the end. But by communicating respectfully and effectively, you can share ideas and avoid many misunderstandings and problems. Co-parenting may sometimes involve respecting the other parent's right to do things her/his way when the children are in her/his care. Obviously, if your child is being abused or neglected in the home of the other parent, then it is your duty to take the necessary measures to stop it. But where the issue is simply differing parenting styles, you should try to cooperate to the best of your ability and be as consistent as possible; and you may need to let the children know that the rules at Dad's house are slightly different from those at Mom's. Over the years, I have found that "Post-Divorce Counseling" can be very helpful. This is not marital counseling, and it is not therapy. Rather, post-divorce counseling consists of both parents meeting together with a counselor (such as a child psychologist or child-development specialist) on a quarterly basis, or every six months, or once a year, or only as-needed -- in order to discuss issues involving the children. In the sessions, the parents can bring up any concerns they may have, discuss any problems the children are experiencing, and examine different solutions with the help of an expert. Co-parenting after divorce is an ongoing process. It can be difficult and sometimes frustrating. As much as you might like to put the relationship with your ex-spouse behind you and move on following a divorce, you have to realize that the two of you share a child. You always will. And by communicating and co-parenting, you will increase the odds that your child -- this person whom you both love -- will grow up to be a happy, productive, and well-adjusted adult. Gary Frank has been a well-respected Custody and Family Law Attorney, and a Family Mediator, in the Phoenix, Arizona for more than thirty years. The Law Office of Gary J. Frank P.C. handles a wide array of family law issues, including divorce, custody, modification actions, paternity and maternity cases, and other matters involving children and families. 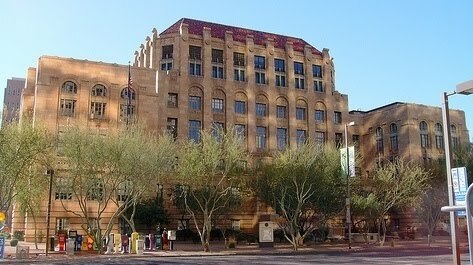 If you would like a consultation, please do not hesitate to call our office at 602-383-3610; or you can contact us by email at gary.frank@azbar.org or through our web site at www.garyfranklaw.com.